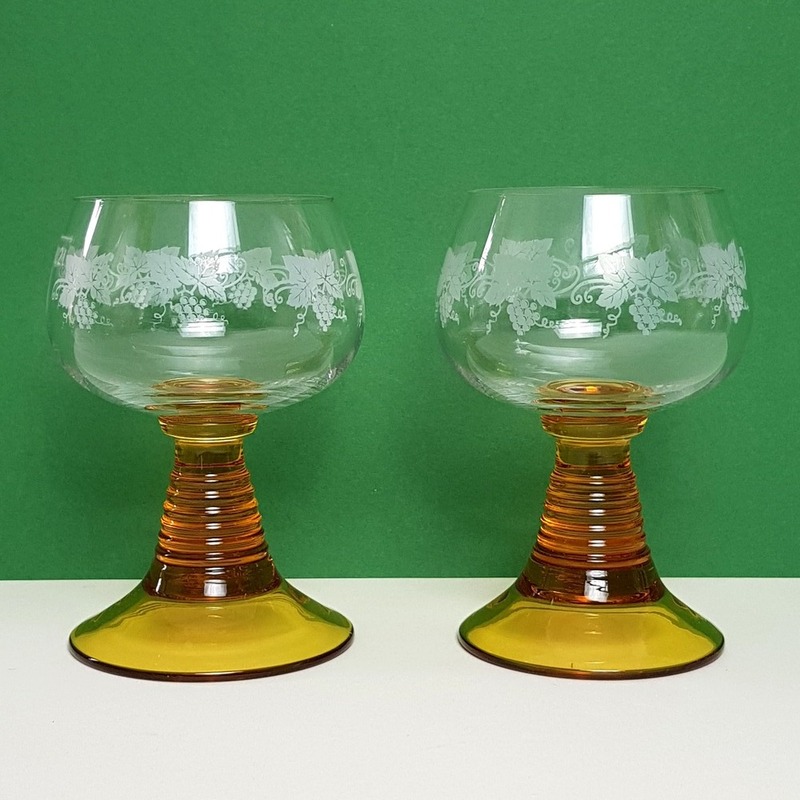 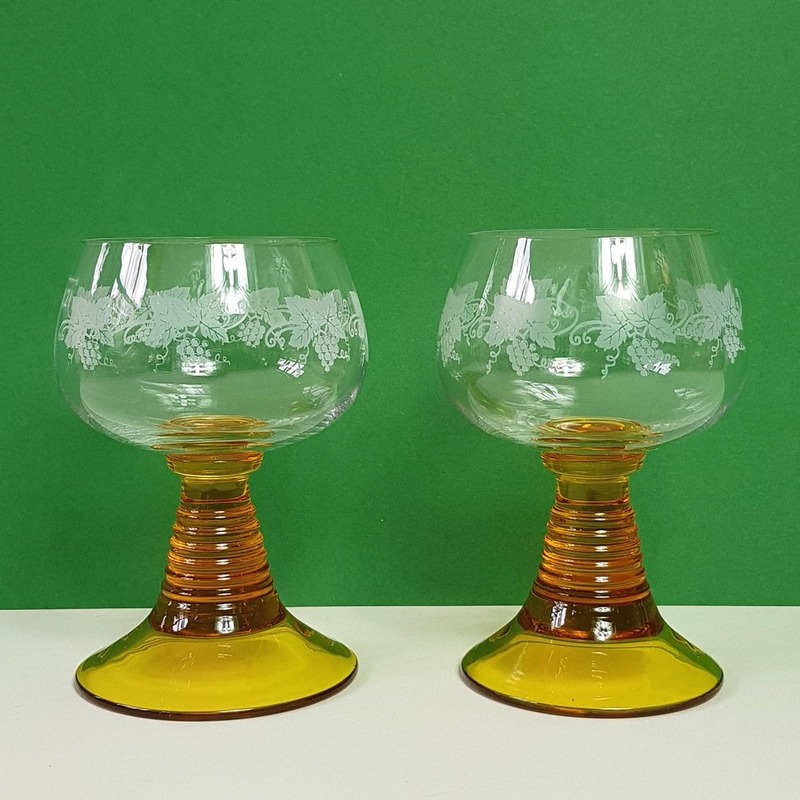 This pretty pair of brown stemmed wine glasses are a German classic, and produced mainly in greens and browns. They have a lovely design of grapes etched into the glass all around the bowl, and date back to the 1960s. Cheers!